New discoveries raise question after question around whether the research needed to deliver these innovations is viable. So many of the tasks that we now take for granted once had to be done manually. Washing a load of laundry no longer takes all day; our phone calls are directed to the correct departments by automated recordings; and many of our online orders are now selected and packed by robots. Developments in this area are accelerating at an incredible rate. But as exciting as these new discoveries may be, they raise question after question around whether the research needed to deliver such innovations is viable, both from an economical and an ethical point of view. As expert manufacturers of engineering parts that help to keep hundreds of different automated processes up and running, electronic repair specialists Neutronic Technologies are understandably very interested in where the future is going to take us. Is it going to take hundreds, if not thousands, of years for us to reach the kinds of automation that are lodged in the imaginations of sci-fi enthusiasts? Or are we a great deal closer to a machine takeover than we think? According to the International Federation of Robotics, there are five countries in the developed world that manufacture at least 70 per cent of our entire robotics supply: Germany, the United States, South Korea, China and Japan. The development of automation has received a great deal more attention over the past few years. 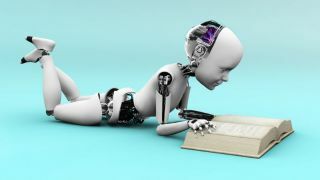 And undoubtedly what has brought it to people’s attention is the popularisation of the subject following the explosion of science fiction books and movies such as Isaac Asimov’s ‘i, Robot’ and ‘The Bicentennial Man’. And this has continued to emerge throughout the decades and has likely only heightened our curiosity about the world of robots. Developing robotics is the next stage in our search for automation. We already have automation integrated into so many aspects of our daily lives, from doors that open due to motion sensors to assembly lines and automobile production, robotics is simply the next step along that path. Another area of development within automation is likely to come from the growth of the internet. The concept of the ‘Internet of Things’ has been gaining momentum for some years now, even decades amongst technology companies, but the idea has only recently started to break into a mainstream conversation. There are, of course, issues that arise when we try to develop machines to take over certain tasks from humans, most notably to do with quality control and the increased margin for error. Some question whether a machine, that doesn’t necessarily have the capacity to consider extenuating circumstances or raise certain questions or react in a way, would be able to perform these tasks. Let’s look at self-driving cars for example. So much of driving depends on the person behind the wheel being able to react in seconds to any changes around them. It is, therefore, essential that machines are able to “think” as close to humans as possible. If artificial intelligence and technology alone cannot achieve this, it would be very difficult for such vehicles to become road legal. However, experts in the industry have suggested a very clever solution. It is unlikely that we are going to see any robot uprisings anytime soon. But the potential threats that an increase in automation brings to our society should not be underestimated. With the economic state of the world already so fragile, any attempts to research areas that could result in unemployment should be very carefully considered before implementation. That being said, we are living in exciting times where we are able to witness such developments taking place. So much has already occurred over the past few years that many people may not be aware of. We may not have reached the exciting level of developments as seen in the movies – not yet anyway – but with the amount of ideas and research taking place in the world, the sky really is the limit.